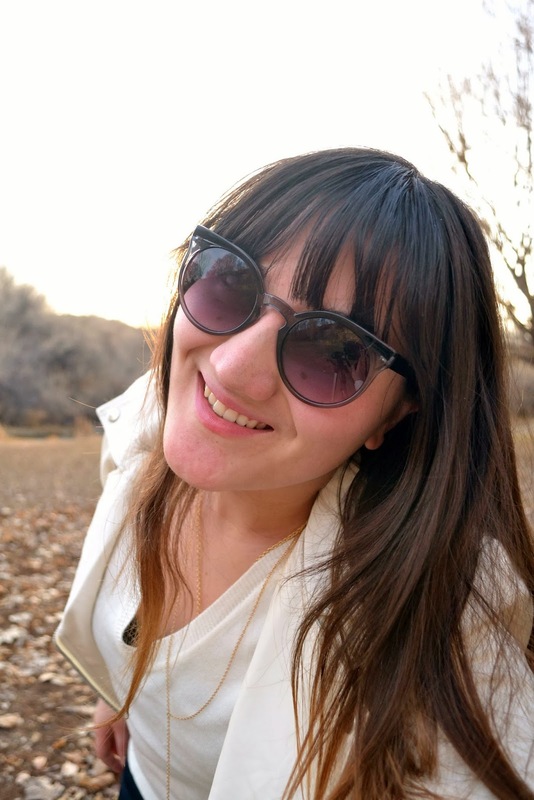 It's usually difficult for me to find good sunglasses with a fun frame that also suit my face, but I got lucky with these dramatic cat eye shades from Wholesale Celebshades! These beauties are the Lena Round Cat Eye Sunglasses, and I'm absolutely loving the retro-glam vibe they emanate. 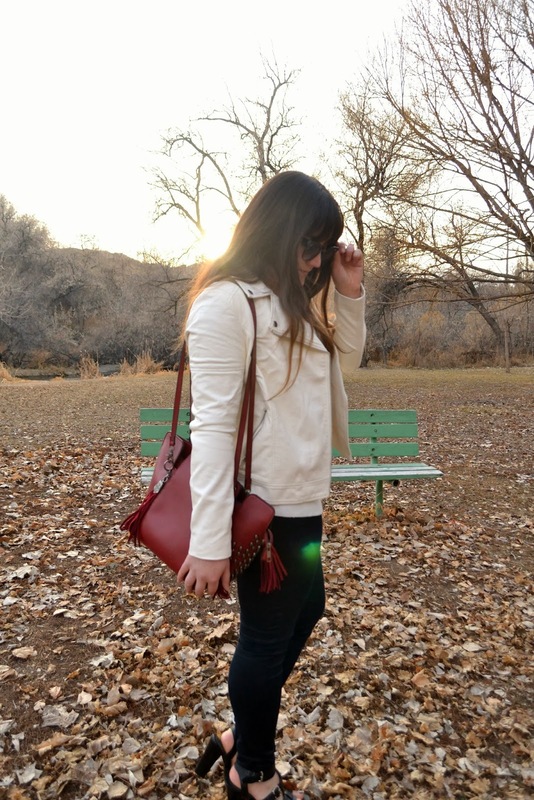 I decided to go with a simple yet luxe outfit to complete my look inspired by these sunnies. It's all in the accessories! And I've found a unique one to add to my arsenal - introducing my Amethyst Divine Drop crystal necklace from Shop Lately. Do any of you ladies know about crystology? One of my friends (I like to refer to her as my Witch Doctor) knows a bit about them and is into that kind of treatment, along with all the herbs, natural remedies, and New Age hippie trends. Now I'm not too certain of all of those things myself, although I'm often intrigued by them and can kind of go along with the theories and philosophies of some. Besides that, I've been getting more and more into Yoga, so a lot of those trends filter into the thinking that goes along with Yoga. When I came across this necklace, I was drawn to it because amethyst is actually my birthstone. Then I read the description of the crystal benefits that come with it: "This gemstone has a sobering effect on overindulgence and overcomes addictions. Beneficial to the mind, it calms or stimulates as appropriate, helping to feel more focused. It also enhances memory and improves motivation as well as balancing emotional highs and lows." i want to wear this ensemble!! LOVE the minimalist vibe yet have interesting details on it! i super adore your necklace! i've been searching that kind of neck candy. very Chic Linda! I love that jacket! Great outfit girl! That bag though!! Love it. this outfit is gorgeous! 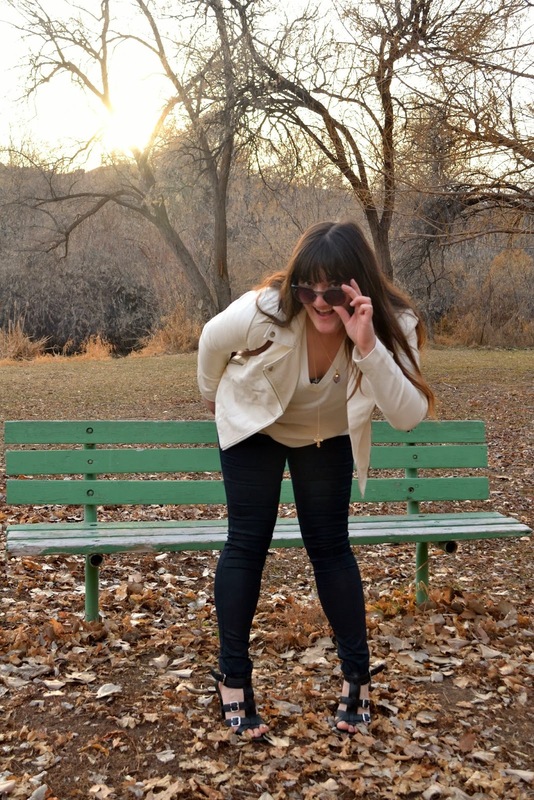 the white jacket is so crisp and chic and i love the way you styled it, perfection! That's such a lovely necklace. I'm always intrigued by all the stuff not backed by Science. Somehow, all it takes is the belief. You look great, backdrop looks great. Ooh... is it not as cold where you are? I don't see snow and I don't see you in thick coats and boots. these shades are really lovely! Great look dear and funny pictures! Ah, so much to comment on Linda! First, I'm super excited for you and your concert. I love that you shared some of their lesser well known songs with us. Third, it's alright to have a calm life every once in awhile. We all go through periods where we feel like we don't have much to write about. You inspire me with your writing, and always will, regardless of what you say. Besides, we're all human and can't always have exciting happenings. We'd be completely drained! Fourth, as for your art, dang! I'm completely enamored by the last work and I really admire your courage to pursue art. You definitely know what you want in life, and that is so inspiring. Finally, I love this glam look! That first shot is amazing! And that necklace sounds like it does wonders (: Keep rocking it, girl! I don't know much about crystals but I am currently wearing moonshine plugs in my ears for a bit of luck. those sunnies indeed fit you like a glove ;) and I like the cream shades you're wearing here. very pretty. but I don't know much about the stones... I have some that are pendants but I don't remember their names any more :P it's an interesting topic though and definitely worth learning! You are so cute, little lady. I love your little smirky pose. As usual, your outfit is on-point when relating to your accessories. I love how you let the glasses and your necklace take center stage! It's very chic and sheek. Love! I love that you've been doing yoga! I have long been using it with the kiddos at work to calm their bodies, and recently started getting into it myself. I went to my first Fitness Yoga class last week -- whew! what a workout. I was sore for a few days after. And I don't get sore. I hate when life forces me to take a break from blogging and stuff, because then I miss all the amazing stuff you do. Of course I'm referring to your post about your art. As a dabbler in the arts myself, I have some advice for you; keep at it and never be ashamed. You are vastly talented, girly. Just keep studying and keep creating and above all, keep expressing yourself! You can never go wrong with that. i definitely love the bag and those sandals! those shads are fantastic! and I love this look, simple and so chic! Great look, love sweater, jacket and necklace! Would u like to follow each other? HI, Linda! That jacket is an adorable one, I'd love to own same one! I love the way you paired it with that white top and necklace, just great) You look wonderful! p.s. yes, those sketches at my blog are mine, I'm drawing too from time to time. adorable sunnies! 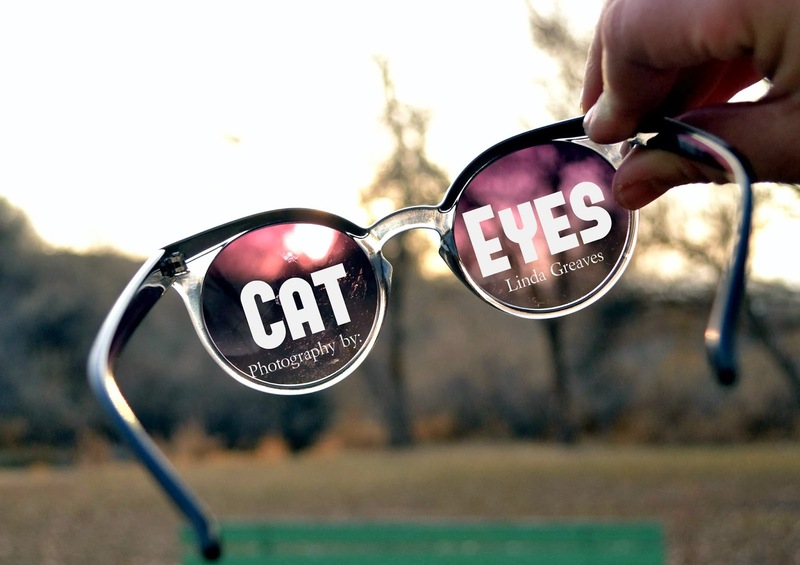 what a great find :) They are so cute and I love cat eyes! Your glasses really suit you. I never wear sunglasses because every pair seems to make me look bug eyed! I love everything about this, but more so the shoes. Oh, My, Gosh your shoes! WOW I love this photo shoot! You are gorgeous, your look is gorgeous, the place you're at is gorgeous, and these pictures are STUNNING. Sorry for over using the word gorgeous but there is no other description that fits these pictures well enough. I love all the details of this outfit! Especially the cool necklace and the sunnies. Hahah I should get a crystal too, definitely need some help with my shopaholic ways hahaha. Your photos are so fun. 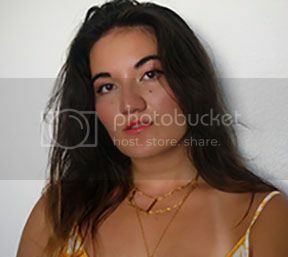 I love the necklace especially. Crystology actually sounds pretty cool! I know that my culture has some of those other remedies woven into it too, so I' a semi-believer. Sometimes, though, I get a bit skeptical. Love your outfit! The crystal necklace fits perfectly into your outfit. Okay, Linda, where is your snow?! Do you want some of ours? :) I am one envious duck over here! That jacket is stellar - and will look fab with your new scarf! So glad you like the booties Linda, they're from Zara. They might be in the sales now. I love those glasses! you look stunning as always. 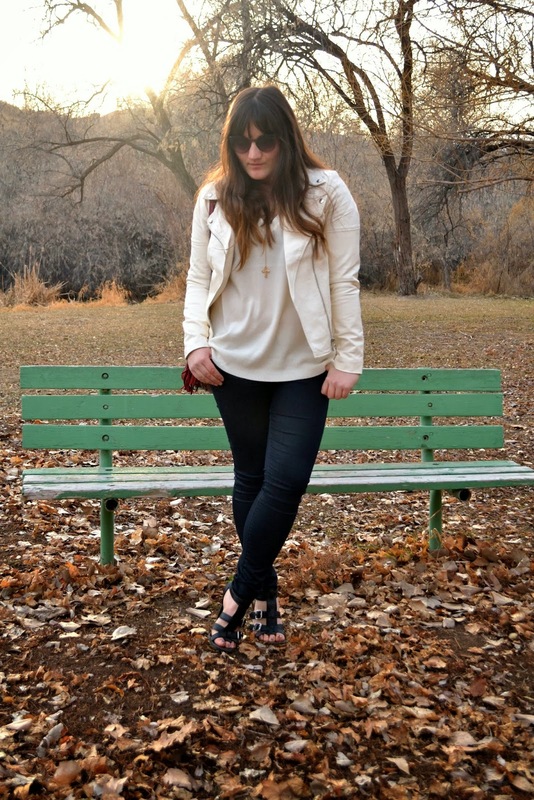 I LOVE this white jacket, it's totally perfect for all four seasons!